PetroSolar Corporation, a company owned by PetroGreen Energy Corporation (PetroGreen) and EEI Power Corporation (EEIPC), commissioned the 50 MWp Tarlac Solar Power Project (TSPP) on January 27, 2016. 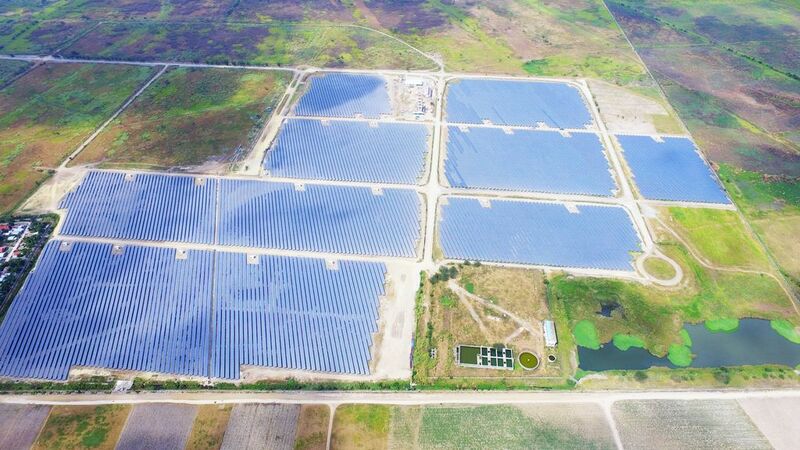 As the largest single PV Power Plant to date in the Philippines, one of the largest in South-East Asia, TSPP was completed in a record time of 4 months – exactly 123 days – from start construction “first pile in” to commissioning and achieving “first power out”. The PetroSolar TSPP 50.07 MWp PV Power Plant’s 189,432 PV modules produce about 78,070 MWh of electricity per year, supplying some 24,000 Philippine homes and offsetting 47,800 tons of CO2 emissions annually. The TSPP energy facility covers 55 hectares of industrial land within the PEZA-registered Central Technopark in Tarlac City about 90 km northeast of Metro Manila near the Subic-Clark-Tarlac Expressway. Through the entire project development and turn-key project realization – from initial PV Power Plant concept development to EPC contract negotiations to coordination and supervision of the entire installation, up to yesterdays commissioning – Syntegra Solar as Owners Engineer of PetroSolar was instrumental in achieving an on-time / on-budget completion of this project, which sets records in several ways. “The TSPP 50 MWp PV Power Plant excels on various levels, namely the highly competitive turn-key costs, a record-breaking time-line for turn-key installation as well as the time-line from initial project development to project completion / first power out, a superior quality of PV System Design and PV components utilized – all of which justifies to speak of a landmark installation in Southeast Asia”, said Mathias G. Kothe, Founder and Managing Partner of Syntegra Solar.